Ann’s Update Are you looking for a holiday with a difference this year? 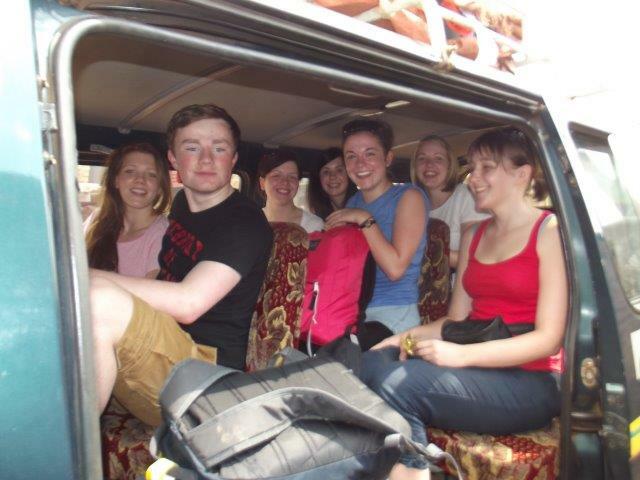 Charity Flights are available to ENTEBBE through Ian Allan Travel 01932. 255605 Early summer non-stop flights from Heathrow with BA are still under £600 return and its even less with other airlines who have a stop-over. Book now – save up and then pay later! 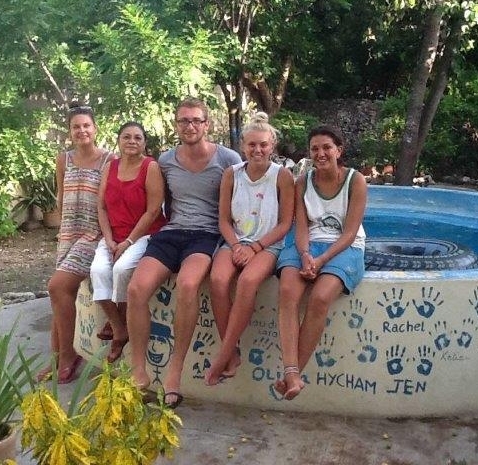 Volunteer for a month and your accommodation plus all your meals cost you just £280. Airport pick-up and transfer to the project is all pre-arranged, so even if you have no-one to go with you can be escorted and you will soon make new friends. 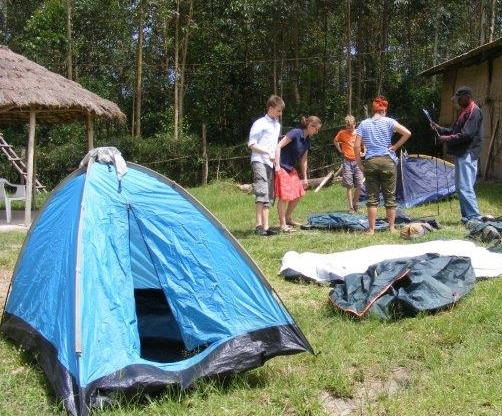 Volunteer Reunion 23rd-26th May 2014 – You are invited to join in a Camping weekend at Shepperton, NW Surrey and meet the friends you made in Ruhanga again plus others hoping to enjoy time in Uganda at some stage in the future. Music, campfires, and a marquee with kitchen facilities all provided. Bring your own food, drinks, tents and sleeping bags. Our Charity A.G.M. will be held at 2 pm on the Saturday 24th May Please contact me for more details. December 2013 Parents Day This special day at the end of every school year is eagerly awaited as the children get to know if they have passed their exams to go up into a new class or if they have to repeat. 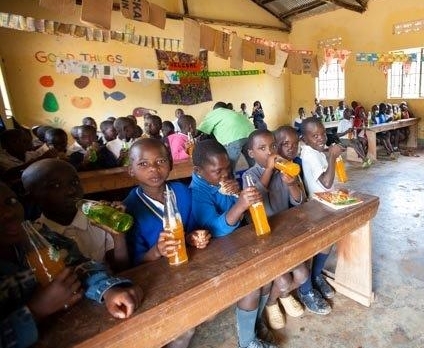 First, thanks to a volunteer’s kind donation all the children were able to have a bottle of soda and a chapatti – which is a real treat away from their staple diet of Posho (maize meal) and beans. Then they entertained the parents, teachers and volunteers with dancing, singing and music. After that was prize-giving, when the four top performers in each class received a prize of a book, toy or item of clothing. This small gift varies each term, depending on what suitable items we have in our stores. Holiday Club Lex, our current co-ordinator, organised activities for some of the older children during the long Christmas holiday period. 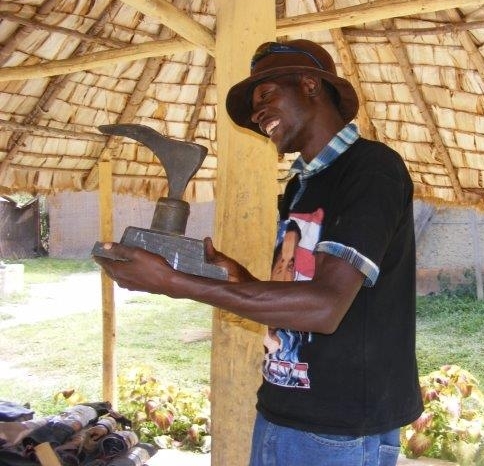 Volunteers enjoy this as much as the children as they can exercise their creative skills all day if they wish. Over the Christmas week the volunteers had many invites from local families and they said they all put on lots of weight! 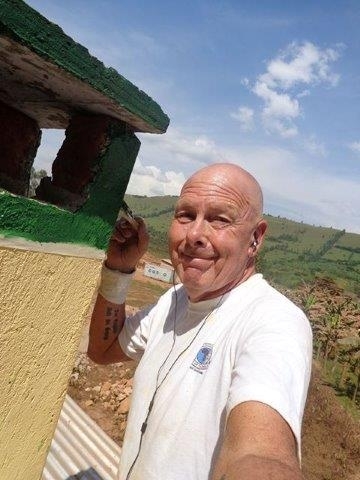 New Classroom Block Thanks to some great donations that have been made by volunteers and other supporters, Denis has pressed ahead with employing local builders to erect three new classrooms for P6 and next years P7 at Ruhanga Development School. 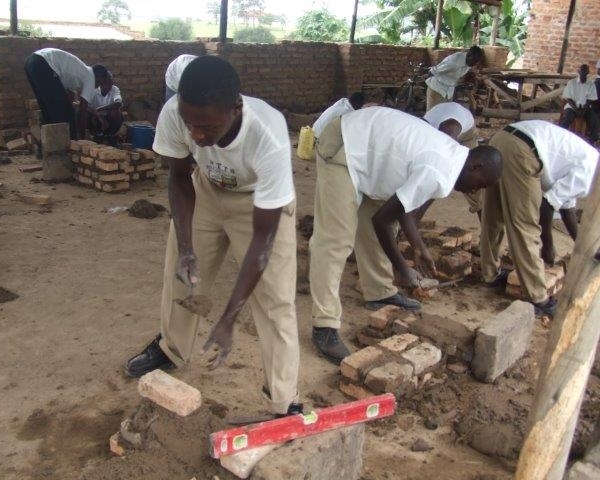 Foundations are dug, walls built, roofing timbers and iron sheets added and the walls and floors are now plastered. 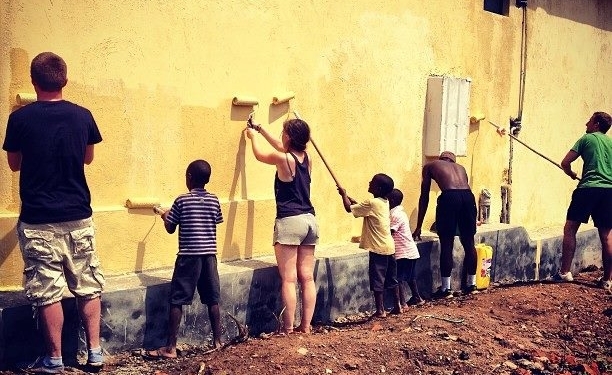 Metal doors and windows are being made and volunteers are starting to paint some of the walls. We still need to pay money to the builders and I know Denis always owes the hardware shop but they appreciate what we are doing and are reasonably patient while waiting for more donations to come in. 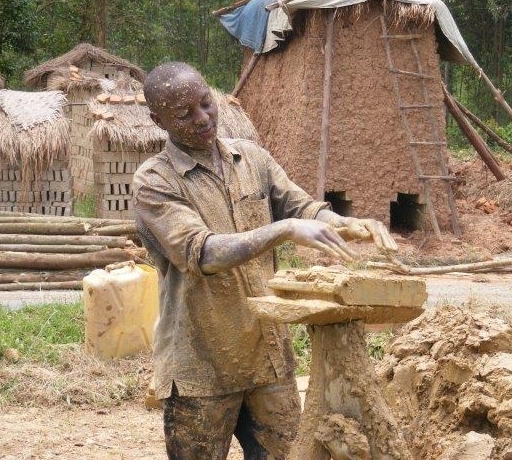 Details here if you would like to donate for cement, builders salaries and to enable us to commission more school desks. Toy and Book Library Thanks to a specific donation from one of our supporters, we were able to have a purpose built room for books, toys and musical instruments. 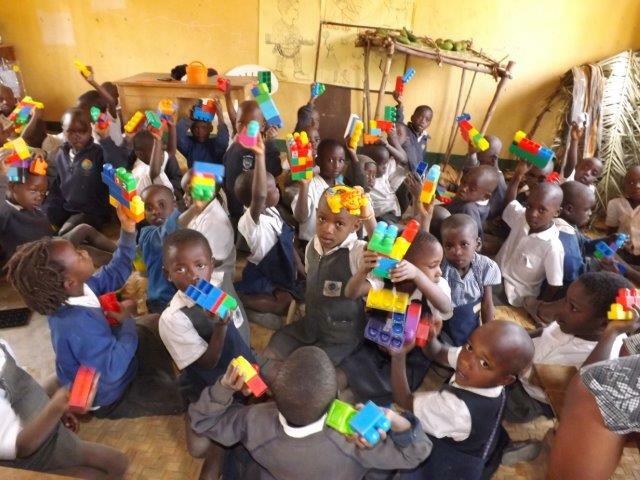 Duncan, one of our UK charity trustees has been out there working on opening the toy and book library, and now our students have the opportunity to take home reading books and suitable toys. Later this will be rolled out to all village families and students from other schools. McNeil Medical Centre We are still having delays in officially opening the Medical Centre although we have a Nurse there who is screening local children at the moment; its taking forever to get the licences we need to open fully. Each time the inspector visits he seems to find something else he ‘would like to see done’. 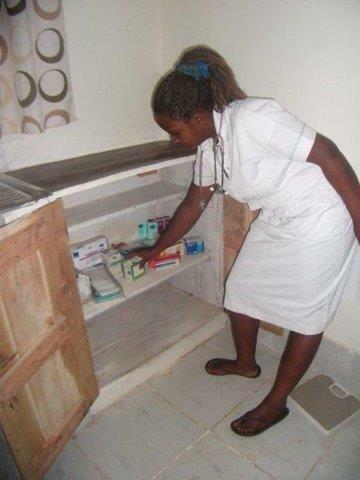 After advising we change the drug dispensary room with the critical care area, Denis then had to go to Kampala with Doctor Dan, who will be in charge, and get certain forms signed and stamped. That is completed and they are now back with the District Inspector. 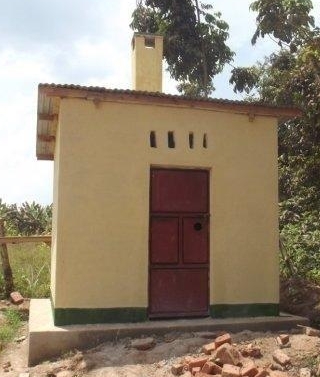 A very smart Incinerator has been built and some of the funding raised by the retiring Hastoe Cyclists (Nick and Harriet Lear), has gone towards this and also buying necessary medical equipment. 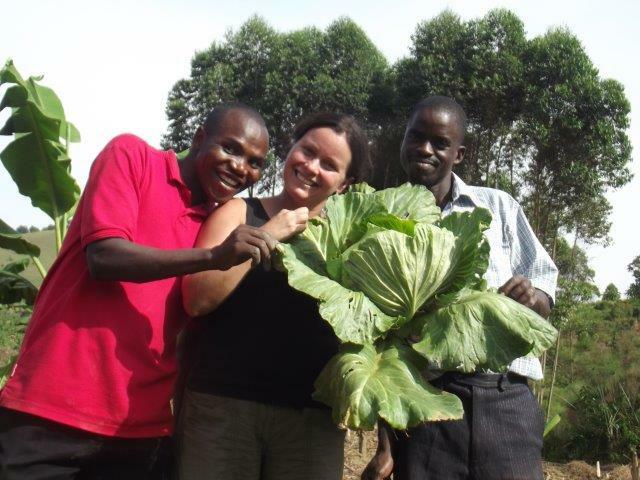 Uganda Lodge Market Days These are growing in popularity as word gets around. All the donated items that volunteers take out are sold at a cheap price, so we volunteers are not looked on as a source of freebies, and we thus are avoiding starting a culture of begging in the village. Everything we do, we aim for it to be for the benefit of the local community as a whole and not just for one person or one family. Examples are the gravity fed clean water scheme with its 20+ taps, distribution of 250+ mosquito nets, running of free Business Training Courses, our Low-Cost school subsidised by International sponsorship at £3.50p a month per child (Details Here) and now our new not-for-profit Medical Centre. We have expanded the range of goods available at the market and now include some small toys and books so children with 20p to spend are not left out. Lex had a great success with allowing Primary 5 students to take an active part in organising and selling at the market. School Garden Children from who have been attending Holiday Club were involved with creating their own school garden to grow crops for their lunches. Many children from the local area do not get all the nutrients and vitamins they need at home, so the school garden will help to give them these. 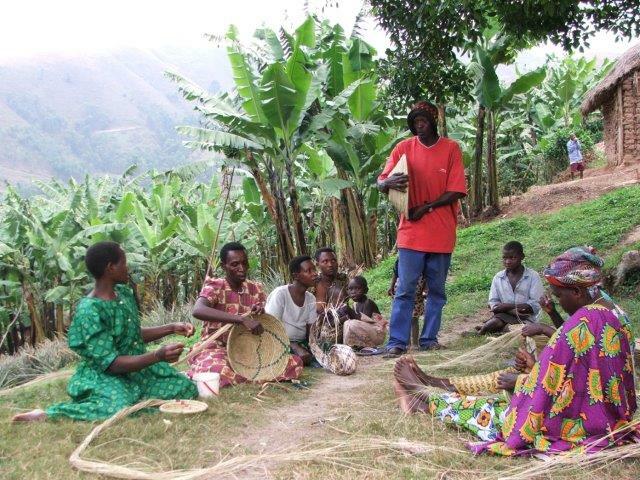 It will also save money on buying fresh vegetables, and thus more resources can go towards improving their education. They made two scarecrows to keep their crops safe and are very much looking forward to sampling the crops when they are ready! One-to-One Support/Speech Therapy A student in P3 was suffering from a severe stutter that left him very shy and with few friends and this came to the attention of the volunteers. They started working with him on a 1-1 basis doing speech therapy, and although he still has a stutter he has grown in confidence and now has a lot more friends since these sessions began. 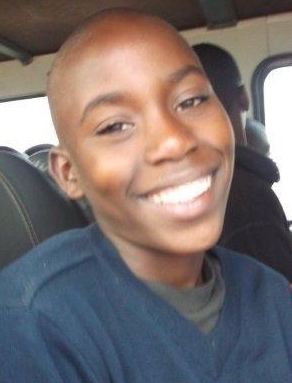 He often did not pay attention in class and was regularly at the bottom, so as well as helping him with his speech he has also received 1-1 tuition and his grades at the end of the year improved dramatically. 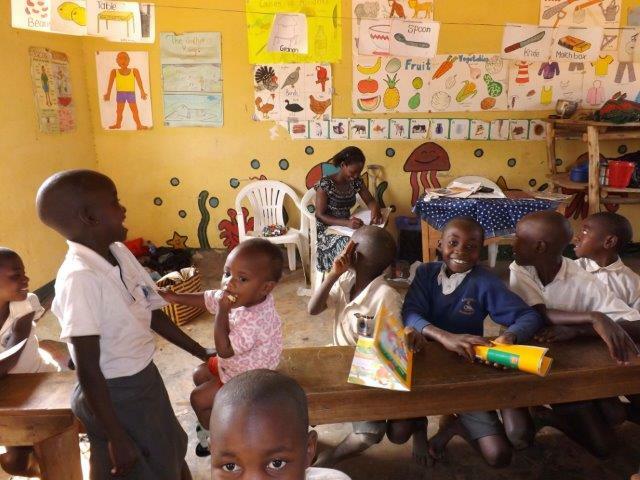 This has encouraged volunteers start working with other individual children who are still struggling and seeing a child improve is one of the many fulfilling ways that a volunteer can spend their time in Uganda. Career Guidance Career Guidance sessions are being incorporated into the curriculum for P5 & P6 and local successful businessmen/woman will come in and talk to the kids about how they run their businesses and skills needed etc. It will better prepare them for life after school and get them thinking about different opportunities to make extra money in their villages alongside their farming activities. 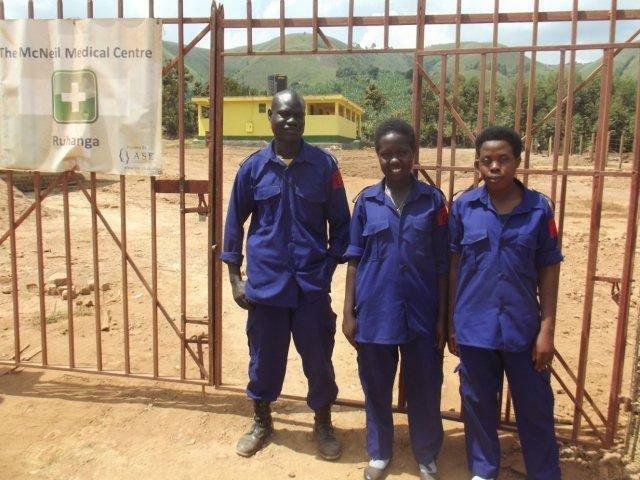 Sadly most of them will not be able to afford to go on to secondary school once they graduate from our school, and this is the reason that Denis and I are planning to work with our supporters over the next couple of years to obtain funding and build and open a not-for-profit……….. Vocational Training Centre This Centre will comprise of a series of practical workshop style classrooms each offering courses as diverse as mechanics, bricklaying, carpentry, electronics, and modern agriculture methods. 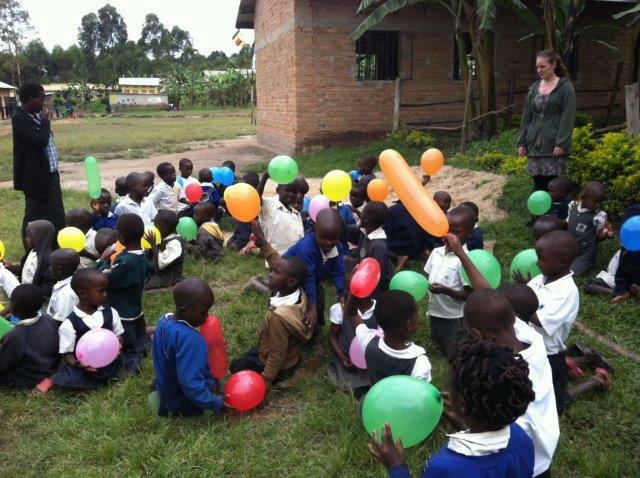 Each classroom will cost between £10,000 and £15,000 to build, equip, and start to pay a teacher’s salary. As Students enroll they will pay a low fee – just enough to cover the running costs each month. Our idea is that a company with a good social enterprise ethos, or perhaps a group of friends such as a school or club will work together to raise the necessary funds and build a facility that teaches a skill that they have an interest in. For example staff and customers of a Hair Salon run by a friend of mine is already starting to raise money to build and equip a hair & beauty training room and I have promised it will be named after the Salon here in UK. 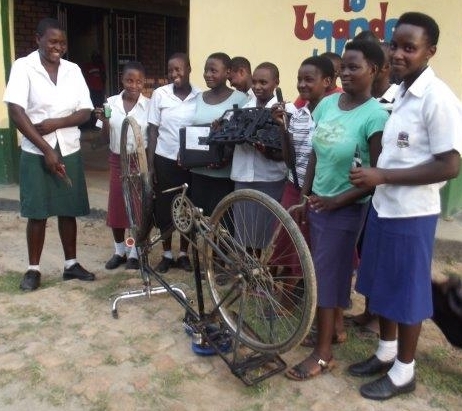 Bicycle Repair Workshop Thanks to a sizable donation from our partner charity ‘Let them Help Themselves out of Poverty’ we are already starting to build our first vocational unit – a Bicycle Repair Workshop. This funding came with the proviso that it is to be organised and used by a group of 15 teenage girls from the surrounding villages. They have already been chosen and had some lessons on repairing bikes so now they are starting to make a small income for themselves. 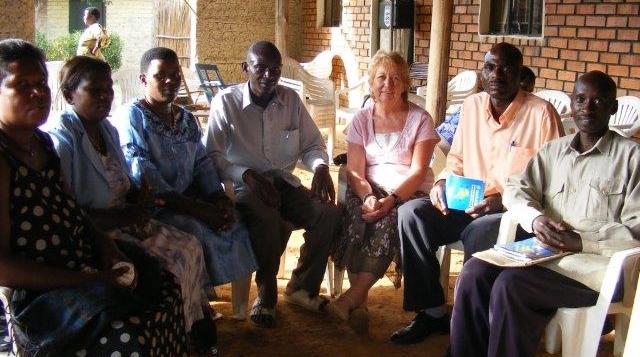 Once the workshop is completed, LTHT Chairwoman, Ida Horner, hopes she may be able to fund another classroom devoted to training different village women with new skills such as Tailoring, or Catering. Can you help? 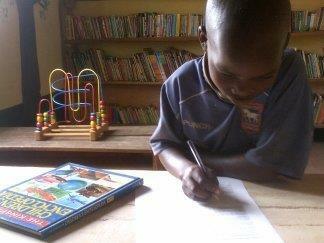 Do you know anyone you can ask that might be willing to sponsor one vocational classroom for us? For example it could be a pub landlord, the owner of a small/medium size business, a member of a rotary club etc. I am willing to discuss this further with them if you can find me someone with an initial interest. 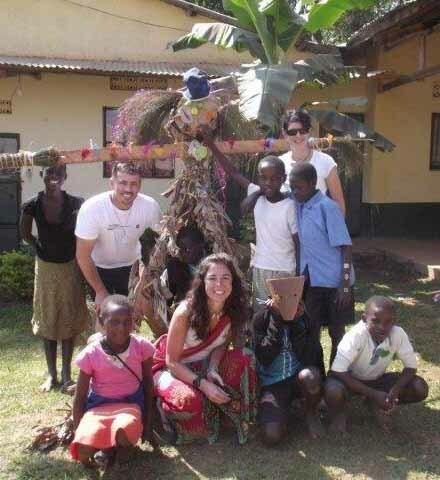 Book now to volunteer this summer Do you have contacts in a University, club or a Medical Training Centre where you can promote Volunteering at Uganda Lodge for us? 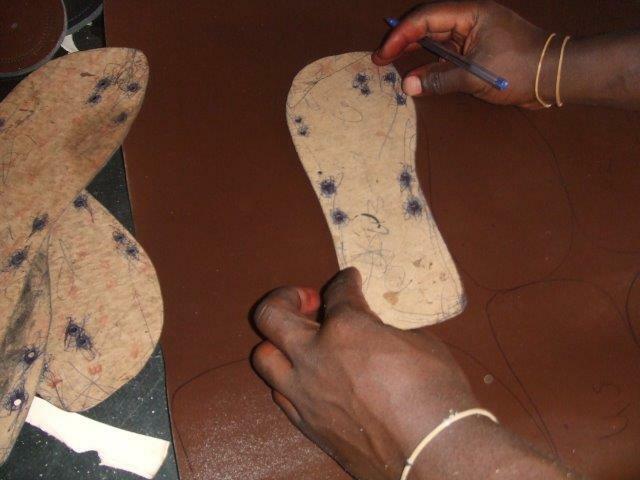 We offer lots of opportunity for hands-on work within this rural community, and all ages and skills welcomed. Look at me – you are never too old!! Families with young children are also welcome. Can you make a poster and put up on a suitable notice board? 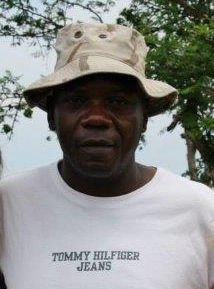 Emphasize that there is no volunteering fee and the cost for accommodation and all meals is only £70 per week. The photo below is only in Denis’s head at the moment but volunteers have found a swimming pool in Mbarara! 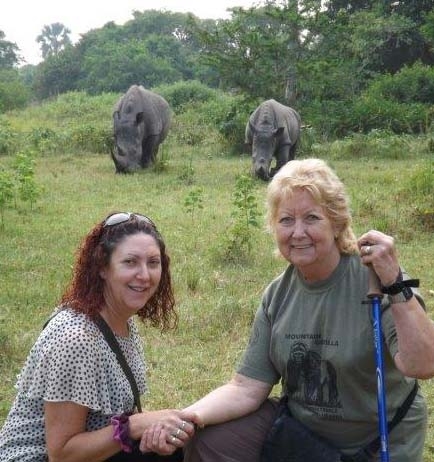 Safaris to Queen Elizabeth and other National Parks and trips to Lake Bunyonyi, Rwanda and various places of interest can be arranged, as well as treks to see the rare mountain gorillas. Discounted permits available for May. 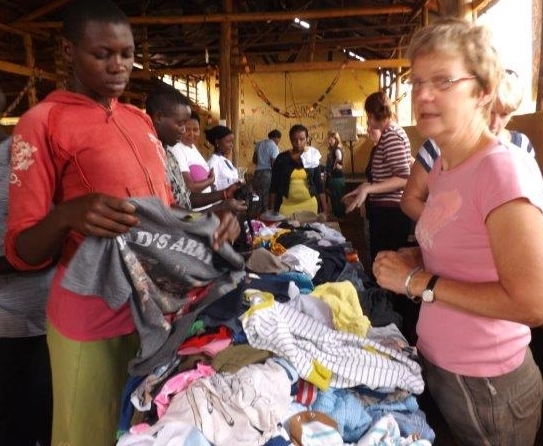 Volunteer Help Needed in UK Running our Charity, co-ordinating volunteers going out to Uganda and general fundraising all take an extraordinary large amount of time, but I am very reluctant to spend money donated for Ruhanga on paying out UK salaries. 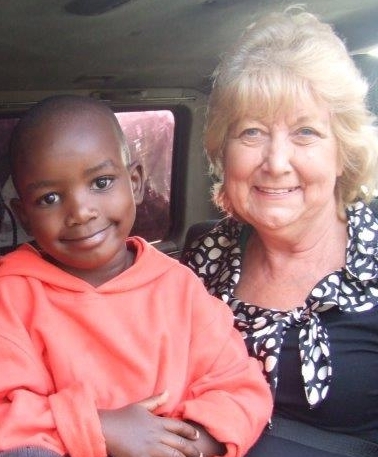 I really need more help and would appreciate an email or phone call from you if you feel able to spend a little time each week supporting our friends in Uganda.